Get a copy of the Kveller Haggadah here! Does your family’s Passover seder need some livening up? Good news! Midge Maisel, the effervescent housewife-turned-comedian who’s the titular character in the hit series The Marvelous Mrs. Maisel, is ready to join you at your seder table this year. 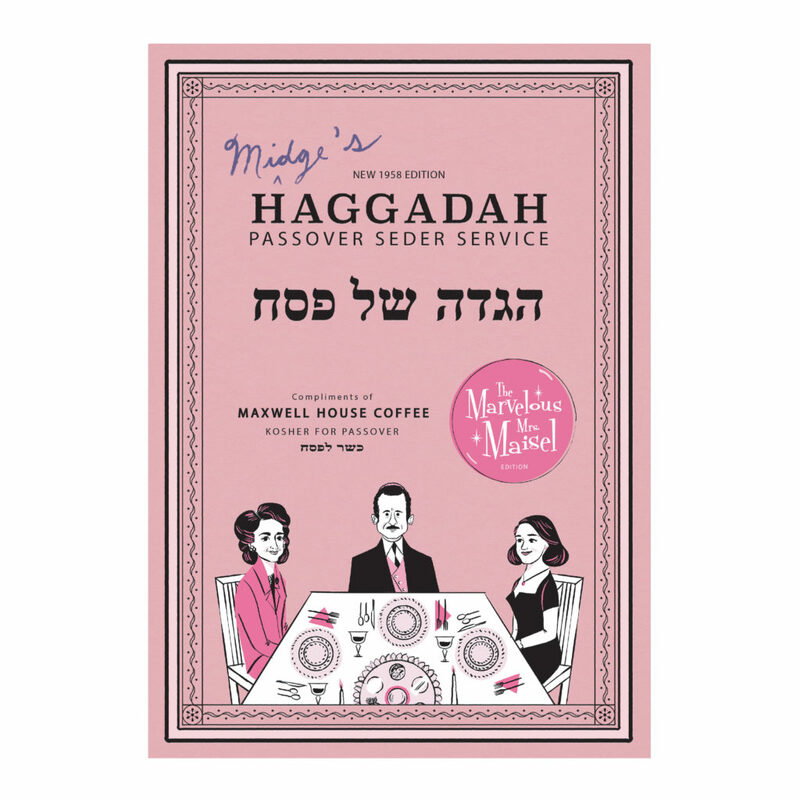 Today, just in time for Passover 2019, Maxwell House announced a limited-edition, Maisel branded haggadah. Really! The Marvelous Mrs. Maisel, as we know, is a super Jewish show. (What other Emmy-award winning show featured the Mi Sheberach prayer and the Catskills in the same season?) It only makes sense that Amazon would take advantage of this to sell a haggadah; last fall, around the season two premiere, they partnered with Jewish delis to sell Masiel-inspired pastrami sandwiches. 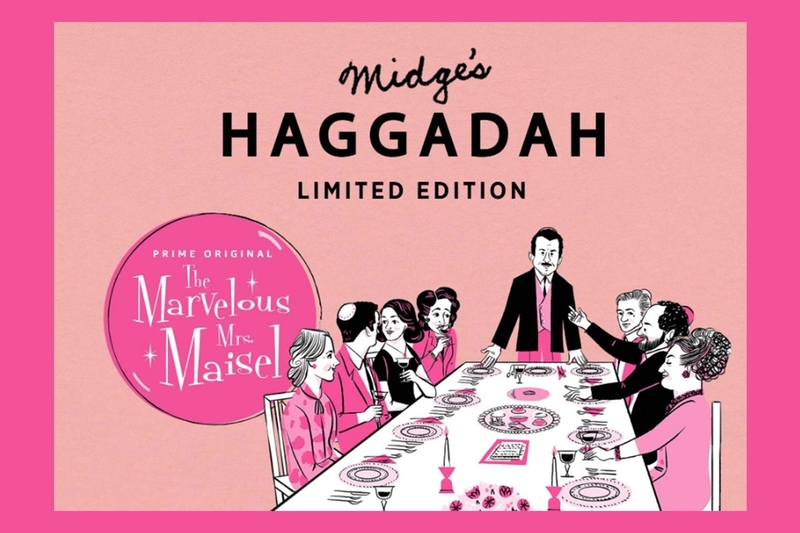 The entire haggadah is Maisel-themed, colored pink (as opposed to the “traditional” Maxwell House color, blue), and is replete with retro illustrations. There’s handwritten recipes for Midge’s Brisket, preexisting wine stains, and more. Amidst all this brand synergy (an Amazon giveaway for an Amazon series!) we wonder if there’s a secret message: Will Maisel season three will feature a Passover seder? Here’s hoping!